The regatta has evolved enormously since 1826, and now between 800 and 1,000 boats in up to forty different handicap, one-design and multihull classes race every day for eight days. It is this complete mixture of classic and ultra-modern designs that gives the regatta its uniqueness. Several classes that raced more than 50 years ago are still racing today; Dragons, Flying Fifteens, Redwings, Sea View Mermaids, Solent Sunbeams, Swallows, Victories and X-one-designs. New classes are also introduced as they increase in popularity. 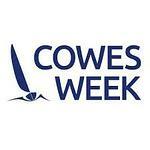 Around 8,000 competitors now participate, ranging from Olympic and world class yachtsmen to weekend sailors. The spectacle that the racing provides, together with the vibrant festival atmosphere attracts over 100,000 visitors to Cowes during the event.